Available in various lens and frame colours. UVEX, a German safety manufacturer and the local subsidiary Uvex Safety Australia , have launched a brand new range of performance eyewear. The new Uvex SSS range of protective eyewear provides the Australian market with a unique ‘best of both worlds’ design, combining elements from the company’s areas of specialisation - elite sports and safety equipment. The cutting edge fashion style of the Uvex eyewear range has been fused with the safety and standards approved performance of the Uvex technology. Now those requiring standards approved medium impact eye protection can select from the new SSS range, either the Uvex torgue or Uvex persuit. Both models feature dual lens sports inspired design, popular sleek fashion profile and are available in various lens and frame colour combinations. Black Anthracite, Thunder Blue frames, Petrol Blue or grey and silver mirror lenses are just some of the styles available. 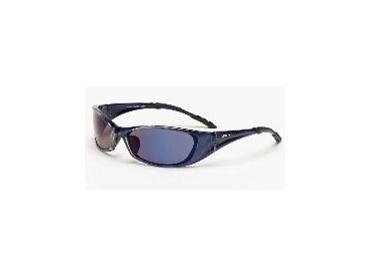 According to Uvex, lifestyle eye protectors have never been seen in the Australian safety market. Uvex were able to manufacture the new SSS range just in time for Australian fast bowler Brett Lee to select the Uvex brand as his exclusive eye protection against UV and glare. The great cricketer also chose Uvex for after-play wear throughout the summer in both the northern and southern hemispheres. With the demands of the harsh Australian climate and the popular desire for active outdoor activities, the Uvex SSS range has arrived just in time for those requiring state of the art protection, comfort and appearance.